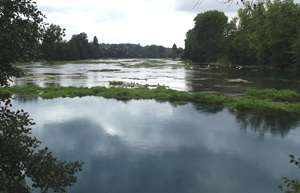 In the Haute-Vienne there are 6500 km of category 1 rivers, 400km of category 2 rivers, 190 hectares of category 1 lakes and 1800 hectares of category 2 lakes. Enough for the most ardent angler. Tony is a retired STANIC instructor and has fished most of the venues below. A full years licence to fish most of France costs around €88,00 and enables the holder to fish 1st and 2nd category waters. This amount varies a little between departments. To see the official fishing site for Departement 87 Limousin in French, take a look here. 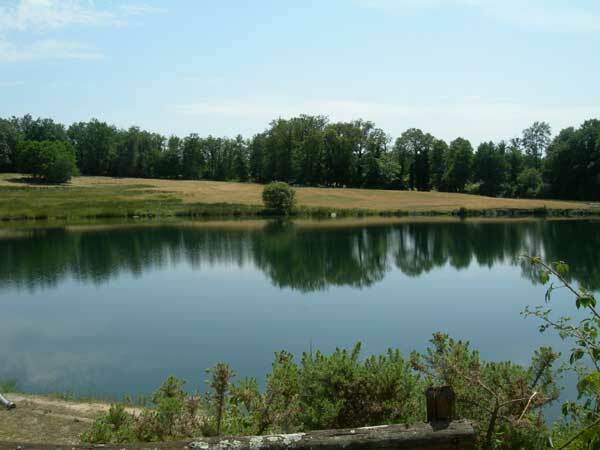 There is a distinction between 1st and 2nd Category Lakes and rivers in France. 1st (Premiere) Category Lakes and Rivers are predominantly inhabited by game fish. Season mid March - mid Sept. The holiday licence is now available from June 1st - December 31st and costs €32,00 for a period of 15 days. This entitles you to fish within the Haute Vienne, and enables the holder to fish 1st and 2nd category waters. For other regions it costs around the same amount. Daily licences are now available for just €10 and can be purchased from January 1st - December 31st. 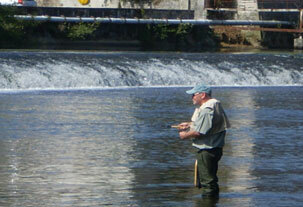 If you wish to fish in the bordering departments to the Haute Vienne, these are available also. This enables anglers to fish earlier in the season which is great news.This too permits the holder to fish 1st and 2nd category waters. This is the perfect solution if you only wish to fish for a day or so when staying here. The daily permits only cover the department in which they are issued, i.e. Haute Vienne 87, Charente 16 or Dordogne 24. There are some lakes locally that do not require anglers to be in possession of a permit, although there is usually a daily ticket fee. 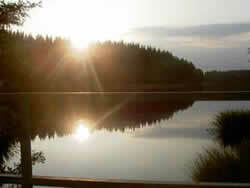 In the local lakes and rivers you will find Trout, Chub, Carp, Pike, Zander, Perch, Shad and other species. ST MATHIEU LAKE: This is a mixed water where trout are stocked early in the season. Perch, chub and carp to a good size have also been spotted. A 14 hectare lake with artificial beach and lots of small bays to explore. Depth varies from 1 metre or so to over 5 metres. RIVER VIENNE: The Vienne is a beautiful river, mostly slow flowing and picturesque which runs eventually into the River Loire. The Vienne is a category 2 river so can be fished all year long. It offers deep slow stretches, fishable from the banks, or you can wade easily towards the weir at Aixe sur Vienne from late spring until late autumn, depending on river levels of course. The river has produced good chub and roach, both on fly tackle throughout the summer. 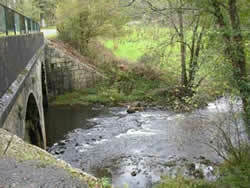 RIVER TARDOIRE: You have various access points to the River Tardoire. A 1st category river. A small brook for the most part with all of the features that you would expect from a small stream. It is stocked with beautiful brown trout early in the season by local fishing clubs. Although tricky to fish with the fly for the most part, there are a few clear areas where you can cast to the trout.